Windows 10 build 14385 for both PC and Mobile is out, but it appears many Insiders couldn’t install the latest update due to various error codes. We have already reported about the 0x80246019 error code that prevented Insiders from downloading the latest Windows 10 build, but a new error reared its ugly head. This time, it’s error 0x8020000f that doesn’t allow Insiders to install the current build. Actually, this is not the first time when this error has prevented Insiders from getting their hands on Microsoft’s builds. 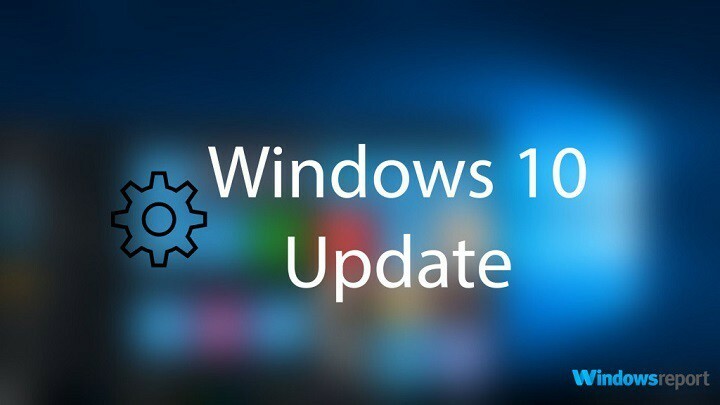 Last year, thousands of users couldn’t download build 10159 due to the same error code. Problem in updating Windows 10 – If you can’t download the latest updates due to this error, we suggest that you temporarily switch to the Slow Ring and check if that helps. Windows 10 update error – Sometimes you might encounter update errors due to your antivirus. If that’s the case, disable your antivirus and check if the problem is still there. Windows 10 update failed loop – According to users, this issue can occur if you’re using a metered connection. To fix this problem, simply turn this feature off. 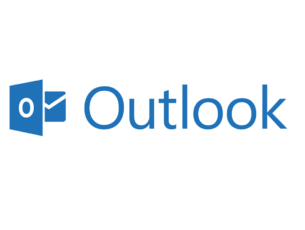 Windows 10 update always fails – This issue can occur for various reasons, but you should be able to fix it using one of our solutions. Open the Settings app. The quickest way to do that is to press Windows Key + I shortcut. After making these changes, the problem should be resolved and you’ll be able to install the latest updates. We also recommend you to download this tool (100% safe and tested by us) to scan and fix various PC problems, such as file errors, malware and hardware failure. If you can’t install the latest Windows 10 build due to error 0x8020000f, the problem might be your antivirus. Your antivirus can sometimes interfere with certain Windows features and it can cause this and other errors to appear. To fix the problem, it’s advised that you check your antivirus settings and disable certain features. In some cases, you might even have to completely disable your antivirus. In case this doesn’t work, your next step would be to uninstall your antivirus. Even if you remove your third-party antivirus, you’ll still be protected by Windows Defender, so there’s no need to worry about your safety. After you remove the antivirus, check if the problem is still there. If removing the antivirus solves your problem, perhaps this might be a good time to consider a new antivirus software. 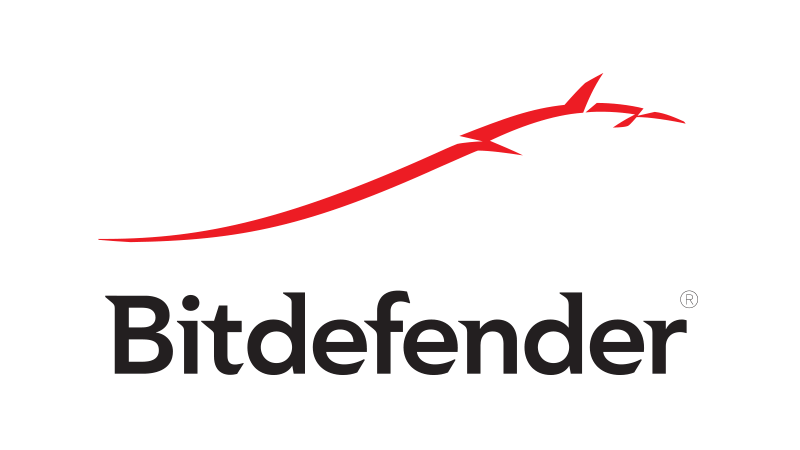 There are many great antivirus tools on the market, but if you want a reliable antivirus that won’t interfere with your system, we recommend that you consider Bitdefender. According to users, they weren’t able to install the latest builds due to error 0x8020000f. Apparently, this was caused by the metered connection. 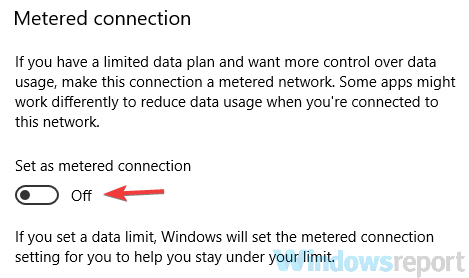 In case you don’t know, Windows 10 won’t download any updates while using a metered connection in order to save your monthly data. When the Settings app opens, navigate to the Network & Internet section. From the left pane, select Ethernet or Wi-Fi depending on the type of connection you’re using. Now select your connection in the right pane. Scroll down to the Metered connection section and turn Set as metered connection to Off. After making this change, check if the problem is still there. Several users reported that after they disabled the metered connection feature, the issue was resolved, so be sure to try that. Sometimes error 0x8020000f can appear due to your USB peripherals. 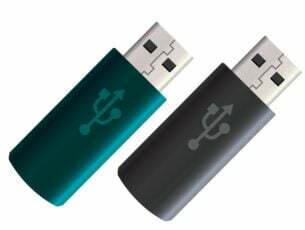 We have all sorts of USB peripherals connected to our PCs, and sometimes these devices can interfere with the update process. 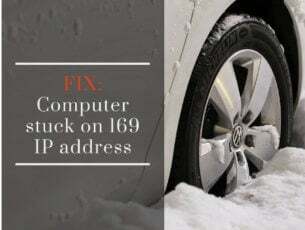 To fix the problem, it’s advised to disconnect all unnecessary USB devices from your PC. As a rule of thumb, you should just leave your mouse and keyboard connected and try to update again. Other devices such as Wi-Fi adapters can also cause this problem, so you might have to remove your Wi-Fi card and check if that helps. Press Windows Key + S and type disk. 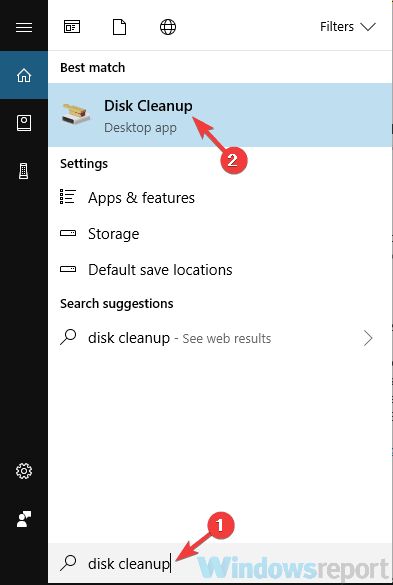 Select Disk Cleanup from the list. 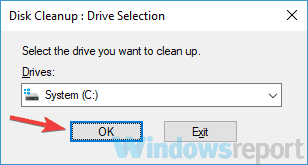 Select your system drive, by default C. Now click OK. Your PC will now scan the selected drive. After the scanning process is finished, select all files on the list and click OK. 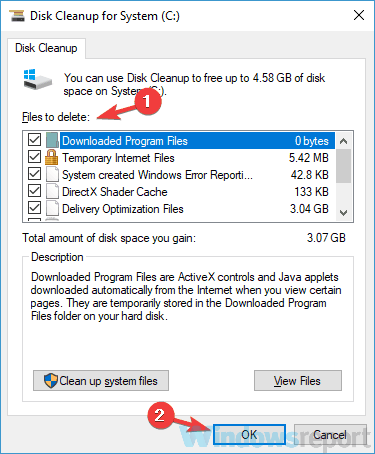 If you want, you can click the Clean system files button in order to remove additional files. After cleaning the old files, try to install the update again and check if the problem is still there. When Command Prompt starts, type sfc /scannow and press Enter to run it. The SFC scan will now start. The scanning can take about 15 minutes, so don’t interfere with it. Start Command Prompt as an administrator once again. Enter the DISM /Online /Cleanup-Image /RestoreHealth command and press Enter to run it. DISM scan will now start. This scan can take about 20 minutes or more, so be sure not to stop it or interfere with it. After performing both scans, check if the problem is still there. If you were unable to run SFC scan before, try running it once again after running the DISM scan. If you want to protect your privacy online, using a proxy might be one of the simplest ways to do it. However, sometimes your proxy might interfere with certain Windows features, and that can cause error 0x8020000f while installing updates. Open the Settings app. Now navigate to the Network & Internet section. 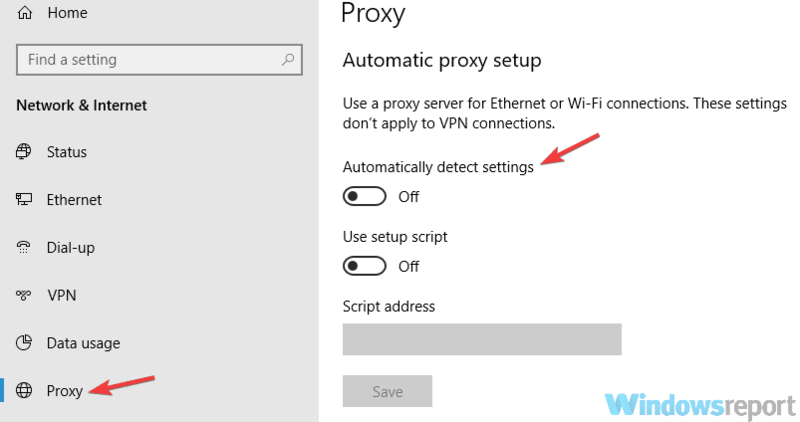 Choose Proxy from the left pane. Disable all options in the right pane. After doing that, your proxy should be completely disabled and the problem will be resolved. If you’re still concerned about your privacy online a good VPN such as CyberGhost VPN might be just what you need to protect your privacy. Not being able to download the latest builds due to error 0x8020000f can be quite annoying, but in most cases, you can fix this problem by disabling the metered connection or by switching temporarily to the Slow ring.